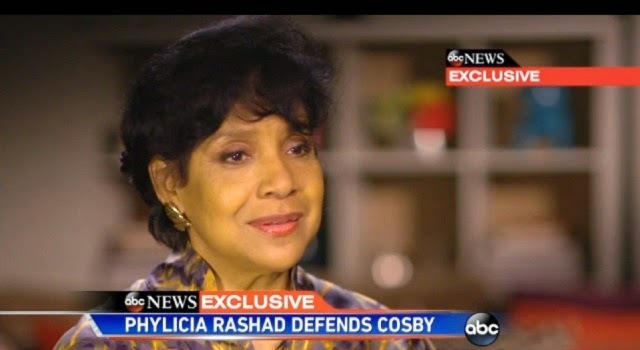 In an interview with ABC news Phylicia Rashad says "I am a woman, I would never say such a thing," when asked to clarify "forget these women," statement made in recent interview. Phylicia says "this is not about the women" but instead "the obliteration of a legacy," and when asked who would have an interest in tainting Cosby's legacy, Phylicia responded "that's my question too." For Phylicia, Bill Cosby is a "genius, generous, and inclusive" kind of man and she ultimately stands by her decision to support him.